If H.I.V. (Humanity Is Vanishing), the debut album of Cameroonian hip hop MC Jovi, was intended to announce his presence in the expanding African hip hop landscape, it certainly didn’t disappoint. If the follow-up, Mboko God, was meant to establish him as a god of his craft, it also showcased a producer attuned to the sonic possibilities in his backyard—reminding heads worldwide that the Bronx’s most enduring cultural export can cohabitate with the polyrhythmic frames of Bikutsi (Cash), Makossa (Comme Moundi), Njang (Positioning) and Soukous (Nyongo Money). For this listener, Mboko God’s arch unfolded like a journey into the then and now of the musical trove that is Cameroon. Jovi’s third album, 16 Wives, can be regarded as the rapper-producer’s attempt to accommodate the Afropop and trap sensibilities of the day alongside his ongoing conversation with the roots of his musical curiosities. It included tributes to Pierre Tchana and Tom Yoms, two often overlooked giants of the Cameroonian music pantheon. 16 Wives also finds the rapper displaying his singing chops while signaling a turn towards the introspective, which is most apparent in tracks like “Why God” and “Slave Ships.” For instance, in “Slave Ships” the rapper cascades between aspirational braggadocio and the hardships of daily life in Cameroon over a harmonious chorus—displaying the word play and sense of timing that distinguishes him from his peers. “Ah comot pays/no be jungle/no be cave/even though man di bolo sotay forget for shave/na only chain/man di bolo like slave/work nonstop man go sleep na inside grave,” he declares. In the seven years since his debut, between album releases, the rapper has kept busy with a series of stellar EPs like 2015’s Rap to Riches and 2017’s Yaje Vol.1 I Black among others. 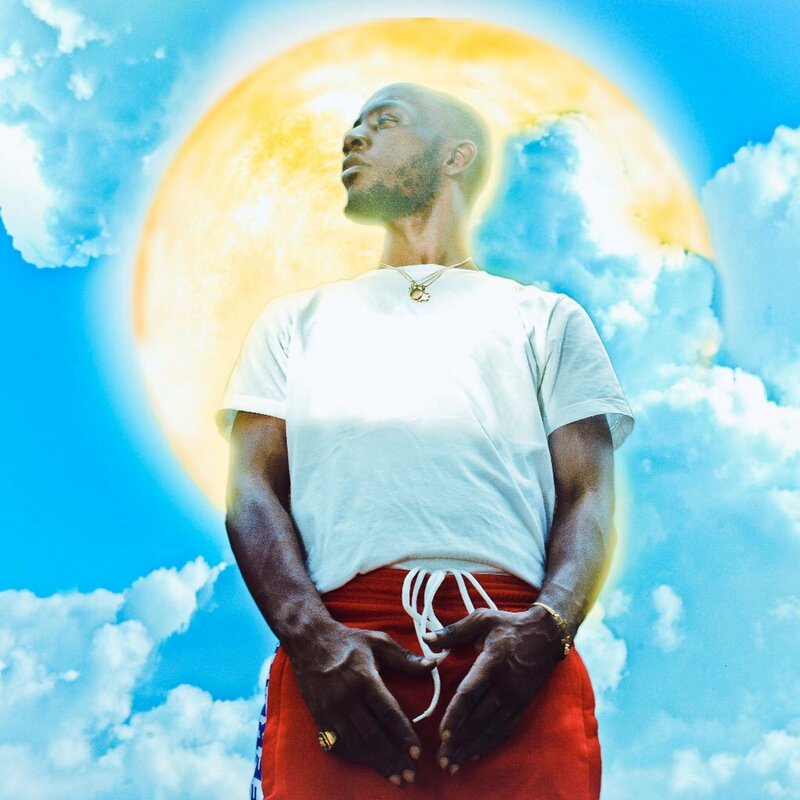 Nonetheless, if this turn to the reflective is a marker of creative and emotional growth, then the timing of his most recent LP God Don Kam, released this past February 16th, couldn’t be more apt. Ndukong Godlove Nfor also known as Jovi Le Monstre was born in 1983 to Anglophone parents and raised in the predominantly Francophone coastal city of Douala. He is a graduate of Sacred Heart College, Mankon, one of Anglophone Cameroon’s most prestigious all-boys boarding schools whose parochialism is only surpassed by its robust academic program. After graduating high school from Cameroon College of Arts, Science and Technology, Bambili, he enrolled at the University of Yaounde II (Soa) where he earned a BA Hons. in Economics and Business Management. Traveling to India to study sound engineering, the rapper would cross paths with Rachel Burke, an Arkansas-born former Peace Corps volunteer and music enthusiast with whom he’ll collaborate to launch the New Bell Music label. I actually had wanted to study in the UK but I couldn’t afford it. It was that substitution thing again. It was like, where can I get a cheaper England? And that’s how I found out about India and ended up going to get my degree there instead. While studying in India, I lost count of the number of people I met who were intellectually amazing—just these incredible minds with complex thoughts about the simplest things. But at the same time, they were broke. It was very humbling. I came to realize there is a place for everyone. If the multilingual rapper’s focus and work ethic betray his pedigree, then his music embodies the nuances that characterize segments of a generation untethered to the colonial linguistic constructs at the core of the country’s current Anglophone crisis. His oeuvre to date exemplifies the dexterity of an MC at once at ease with the feuding colonial languages as he is with Camfranglais (a language that developed in the 1990s amongst English and French speaking kids in Yaounde and Douala), pidgin, Limbum (his mother tongue), among other local languages; a fluidity that is captured in God Don Kam, the title track. Given his artistic and linguistic dexterity, it comes as no surprise that the rapper shifted gears in this album to address the war in the Anglophone regions; a conflict that according to Human Rights Watch has resulted in an estimated 437,500 internally displaced civilians and an estimated 32, 600 refugees in neighboring Nigeria. Last year, as the conflict was escalating, Jovi used his Twitter handle to denounce those inflaming the English-French divide for political ends, his gaze mostly directed at Anglophones clinging to an identity with colonial roots at the expense of other determinants in a context where identity is as layered as it is complex. In his post, he suggested that rather than there being an “Anglophone problem,” the fundamental cause of Cameroon’s problems was tribalism. 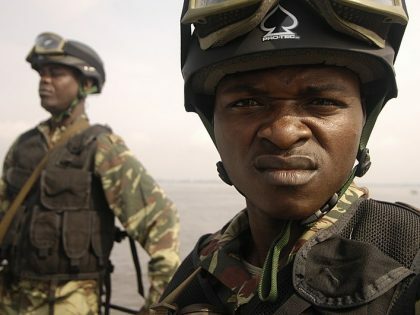 “I’m not English-speaking, I’m from the northwestern region, from Ndu, and my ancestors came from the north,” he wrote. The rapper’s stance was predictably interpreted by fervent pro-secessionist social media activists as a denunciation of his Anglophone identity and a betrayal of their cause. It didn’t take long for the secessionists’ digital brigade to invade his Twitter timeline, issuing veiled threats against his person. Cameroonian lifestyle blogs and online platforms picked up the story while comments on social media speculated the end of his career. Others vowed to boycott his concerts and music. For the pro-secessionist digital brigade, the rapper had crossed the proverbial red line. But Jovi did not back down. Jovi is too deliberate an artist to not have known the attention he would get for posing in front of the Cameroonian flag in the months leading up to him making public his stance about the “Anglophone” crisis. But he is not singular in his reluctance to join the secessionist caravan, which for the past three years has dominated the socio-political discourse within the Anglophone community at home and abroad, most visibly on social media. 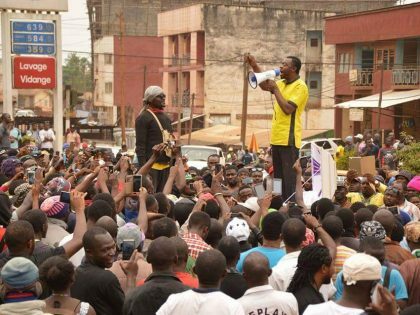 For the Anglophones who do not endorse secession as a remedy to the country’s “Anglophone problem,” yet are opponents of the Francophone dominated 37-year Paul Biya regime; those who had spent lifetimes fighting the regime whilst building bridges across the linguistic divide for a more accountable and representative government, the rapper’s outing was lauded as audacious. It was viewed as the first crack in the Omertà that had stifled honest discourse about the direction of a struggle that had degenerated from peaceful demonstrations led by Anglophone lawyers and teachers against the authorities to a dirty war in which the Cameroon military routinely killed innocent civilians and torched entire villages and sections of towns. For these Anglophones, Jovi’s stance served to amplify the disapproving whispers of those who decried the hijacking of Cameroon’s “Anglophone problem” by what was once a fringe movement bent on using any means to attain the independence of the English-speaking regions. This movement led by diasporans whose unwillingness to go back home and lead the fight for secession is only matched by their willingness to coordinate it remotely via Facebook, WhatsApp and YouTube. The rapper’s outing announced the existence of a critical mass that did not endorse the armed secessionist groups roaming the forests and outskirts of towns kidnapping, abducting, mutilating and beheading Anglophones they deemed unsupportive to their cause. His outing for them represented a timely pushback against the edicts of those Cameroonians abroad who had hijacked a home-based protest movement, changed its course, and imposed themselves as leaders of a phantom government and spokespersons of English-speaking Cameroonians. Jovi opens the autobiographical God Don Kam with “Man Pass Man 4,” a track that dislodges the narrative of identity from the colonial binaries that animate today’s conflict. Rapping in Camfranglais over a thumping bass, the rapper rejects picking sides, instead doubling down on his social media posts, suggesting that when asked if he’s Anglophone or Francophone, he responds with a “Tara ah be na Cameroon,” a reminder that the bonds that bind the communities, which constitute the territory now known as Cameroon transcend the linguistic divide fueling the ongoing bloodshed. “Man Pass Man 4” is a pulsating opening to a journey haunted by ghosts of the ongoing bloodshed. Notwithstanding track titles like “Devil No Di Sleep,” these ghosts are most prevalent in the penultimate track, “No Peace,” in which the rapper pleas for peace. But it is also a song about personal loss and Tramadol’s emergence as a drug of choice in today’s urban youth. Focusing his gaze on Anglophones, “No Peace” is a moving song, albeit a thematically lopsided narrative, which does not proportionately indict the Biya regime for its mishandling of the grievances of Anglophone lawyers and teachers that inadvertently enabled the power vacuum currently occupied by armed groups wreaking havoc in parts of the English-speaking regions. Although his diminutive physique might not reflect the prominence of his place in Cameroon’s music annals, Jovi has never tried to be anything other than himself. He is not the confrontational Lapiro de Mbanga of the mid-1980s who defied the country’s draconian censorship laws to castigate the corruption and economic crisis that characterized the early Biya years. He is not the Petit Pays of the 1990s who emerged as a master parodist of political power, and a social provocateur in lyrics, album covers and on stage. Yet with the release of God Don Kam, Jovi has no doubt inducted himself into the gallery of artists who have embraced their truths in the face of adversity—in his case, self-anointed gatekeepers of an identity whose terms and boundaries are defined by them for their political ends. 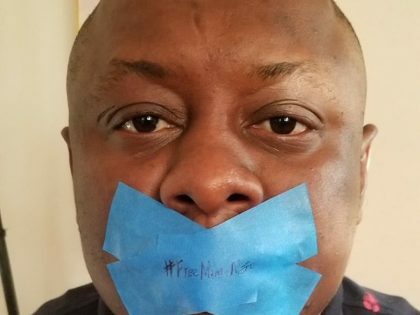 Despite consistent and protracted attempts by government to repress access to social media and freedom of expression, citizen’s voices are being heard over the internet in Cameroon. Paul Biya’s inability to address the crisis in the country’s Anglophone region is pushing the nation to the brink. 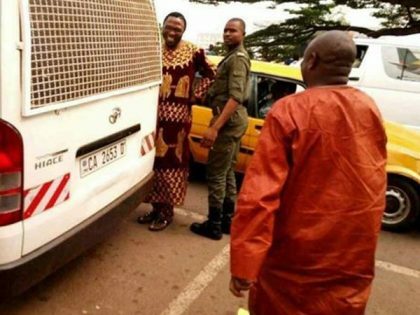 The author was arrested for insulting Cameroon’s president, spent 20 days in prison and was deported. He made this statement at his trial.